I picked up a DJI Spark recently and I must say it was love at first sight! 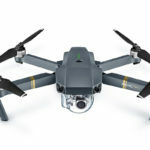 The Spark is TINY, but still has most of what makes DJI drones great – superb GPS, intelligent flight modes, and a great camera. Many people complain that the camera is only 1080p compared to the 4K Mavic and Phantom, but for the size and price, I am more than happy with 1080p too! The DJI Spark comes in two options – the Spark Standalone and the Spark Fly More Combo. 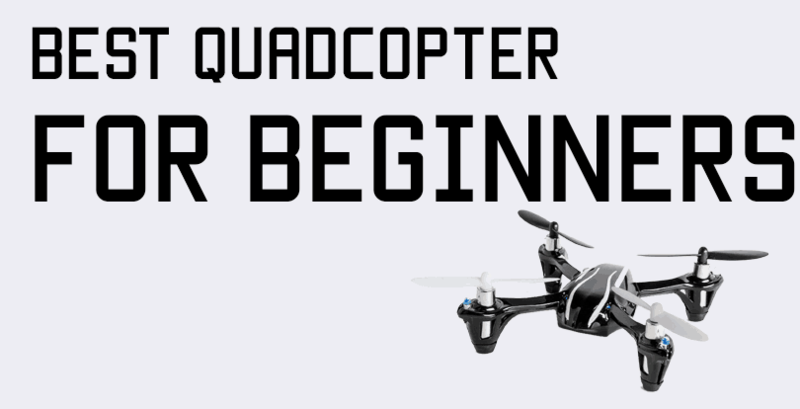 The Standalone is just a Spark, one battery, a charger, and propeller guards. You have to fly it with your mobile phone or using the signature hand gestures. However, just flying with a phone severely limits your flying range – you’re stuck with as far as your mobile’s WiFi radio can go, which is not going to be more than 30-50 meters. The DJI Spark remote controller increases the Spark’s range from the measly 30 meters to a whopping 2 kilometers(in ideal conditions, though realistic range is more like 1.5 km or so). You also get the tactile feel of control sticks for more precise flying. You could just use the phone for flying if you’re never going to go too far away, but if you’ve played games on your phone, you’ll know that you don’t get very exact controls on a touch screen. 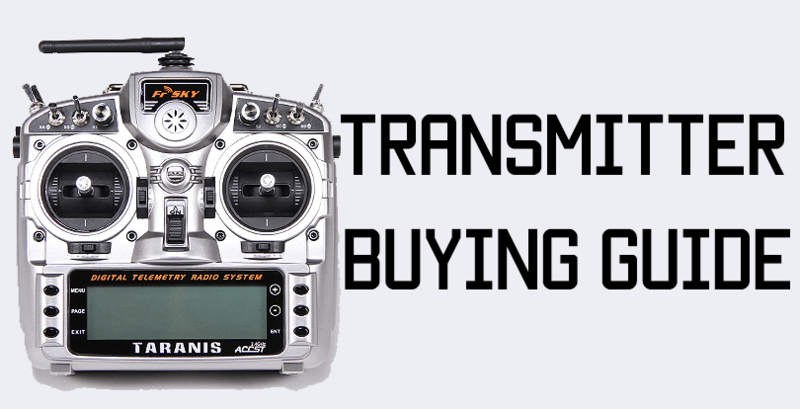 The controls you’ll get with the remote are far more precise and flying the copter becomes far more enjoyable. 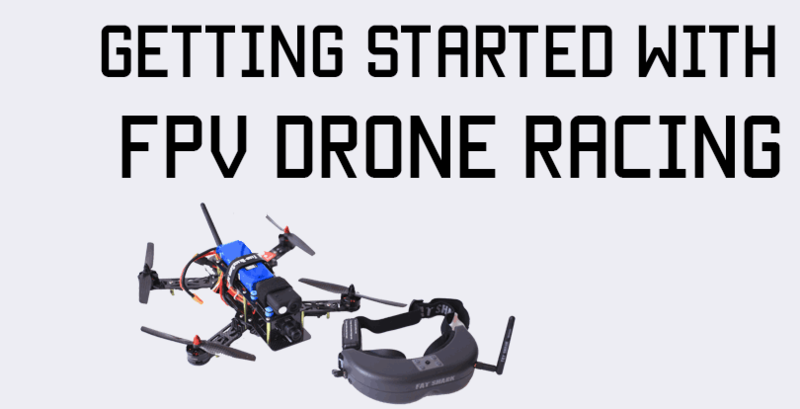 It is really portable since the antennas fold down and the hand grips fold in – you just need to extend the antennas and fold out the grips, and you’re ready to fly. The hand grips have slots in them for you to slide your smartphone into. Plus, the remote will pair with the phone anyway and you’ll get HD video on your phone, all the intelligent flight features available from the DJI Go app, and the tactile feel and extended range of the controller. The standalone Spark comes with just one battery. The DJI website advertises 15 minutes of flight time, but in real world conditions, you would expect between 10 to 12 minutes. This is either a lot or very little, depending on what your needs are – but it is highly inconvenient to have to keep charging for an hour every 10 minutes just to stay in the air! That’s why you need to get yourself some extra batteries. 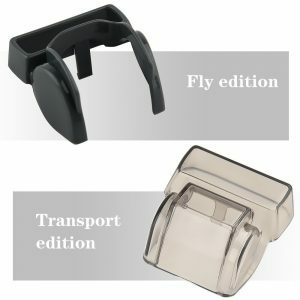 The Fly More Combo comes with two batteries, which are good enough to keep you in the air for 20 minutes total, so at minimum, you’d want two batteries, or even more depending on what you’re going to use the copter for. The DJI charging hub can charge up to three batteries at once, so bear in mind that if you get more than three batteries, you’ll need more charging hubs. 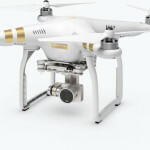 As far as batteries and chargers go, I HIGHLY recommend you only get the DJI branded products. They’re a little more expensive, but considering how finicky LiPo batteries can be – it’s better to spend a little more and be safe rather than shaving off a few bucks on a charger or battery and ending up losing a lot more. Propellers are the first things to break in a drone crash, so if you ever crash and break or chip a propeller, you’ll find yourself needing spares! Pick up some propellers and throw them in your backpack – there’s nothing worse than the feeling of being grounded! For whatever reason, DJI has not mentioned this anywhere in the manual or their instructional videos, but this is perhaps the single most important upgrade you can do if you’re using the DJI remote controller with your Spark. Normally, the phone hooks up to your remote via WiFi, and the remote then connects to your Spark. This means there are two wireless connections at once, and you’re going to see some disturbance and lag if you’re in a dense area or some place with lots of radio disturbance. 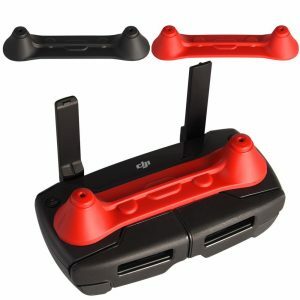 The DJI remote has a little micro USB port which is normally used for charging, but can also be used for connecting your phone with a wire instead of WiFi. This way you’ll have uninterrupted and faster communication between your phone and remote(and effectively drone). OTG cables are really simple – they just convert the normal USB plug into a Micro USB or USB-C plug that goes into your phone. I recommend using a right-angle plug because it will fit more snugly into your remote when you slide it into the grips – the straight connector will stick out and bother you. To use the cable, just plug in the OTG cable into your phone, and plug in the remote’s USB cable from the remote into the phone. For recording awesome footage on your Spark, you’ll need to get a decent MicroSD card. MicroSD cards are not created equal, though, as some have significantly faster write speeds than others. The higher the write speed, the smoother your video will be – using a low quality memory card will result in choppy, messy video, simply because the card can’t keep up with the speed the Spark is trying to capture the video. 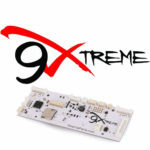 I recommend the SanDisk Extreme series as they are very high quality and have fast write speeds. You can pick up a 32gb card for starters, and always upgrade to a 64 gb later or just pick up a bunch of cards to be able to swap out on the go. The DJI Spark comes in a neat folding foam pack in which you can fit the Spark itself, some extra props, and two extra batteries – it’s also nice and small enough to throw in a backpack, but you can’t fit a remote in the box! So to be able to carry the remote, Spark, and some extra batteries, you’ll need to pick up a carry case. The case that ships with the Fly More combo is really neat, but if you got the standalone Spark and are upgrading, there are plenty of good case options. These two bags linked to below are very reasonable(less than $30 each) and can fit the Spark, extra batteries, remote, and even your charging hub. As for the better of the two, it’s about your color choice – one has blue trim and the other is red trim. Both are waterproof! The DJI Spark has comparatively limited range compared to it’s bigger brothers the Mavic and Phantom, so if you’re trying to squeeze out as much range as possible, these little range extenders do get the job done! They use the same principle as WiFi range extenders, and a few YouTubers have demonstrated that the extender did indeed increase the range by a few thousand feet. 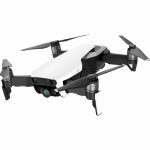 Note that the full range is only realized in an open space free of obstructions – obviously this applies to the Mavic and Phantom, too! But for less than $10, you’re potentially getting a few thousand feet more of range, so if you need the extra range, go for it. 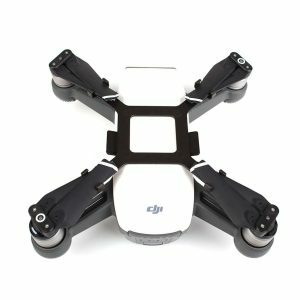 For storage and protection, you can pick up a few accessories that take care of the sensitive parts of your drone – namely the gimbal, the propellers, and the control sticks on your remote. The sticks protector will prevent any unnecessary stress and pressure on your sensitive remote control sticks in transport – you know how things can move around in a backpack! The gimbal is the most sensitive piece of equipment on your Spark, and the most expensive to replace! So it’s a good plan to take care of it as much as possible. This neat accessory will protect your gimbal from side impacts in flight, and the second piece will fit snugly over it and protect it during transport. Since the Spark can be transported with the propellers on, this little clip is a brilliant design meant to hold the propellers in place and prevent any unwanted movement during transport. This is useful when you’re transporting the remote and drone together in the Fly More combo case.